This is perhaps one of the simplest dishes to prepare, and any of its main ingredients can be substituted with one thousand and one different foods. I lightly seasoned a few boneless skinless chicken breasts with salt, pepper, minced garlic, lemon juice, and olive oil. My vegetables required even less: pinch of salt, freshly ground pepper, big glug of extra virgin olive oil, and maybe a spice or two that you are fond of. Cauliflower and broccoli take about 25 minutes in a hot oven (about 400 degrees F). 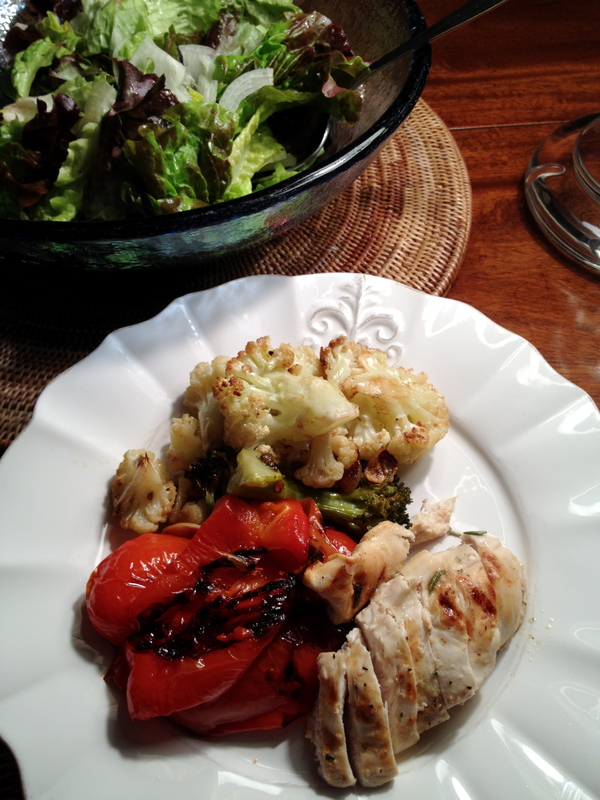 Grill the chicken and whole red peppers doused in olive oil on a grill pan or on your outdoor grill. In under 30 minutes, you have a light but satisfying dinner with a multitude of flavors. 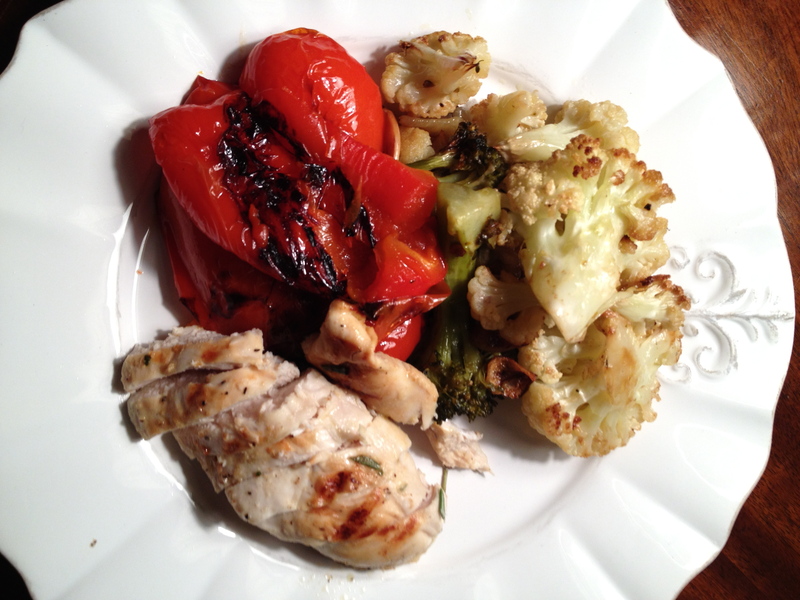 The peppers are sweet and spicy and their natural juices give added flavor and moisture to the chicken breasts, and the cauliflower and broccoli are tender with a bit of crunch from ever so slightly burnt edges. Leftovers make for a fabulous cold salad the next day.